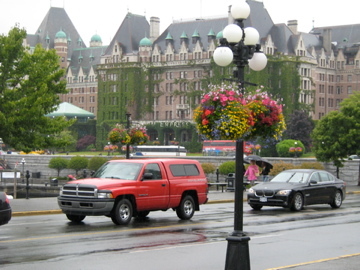 Traveling to Victoria? This blog is for you. I am in turmoil because we normally get a Spring trip out to the island, and this year we are unable to. My whole being is aching for the smell of boxwood, the spring flowers, the sea air, the green, roads without potholes, sidewalks not covered in gravel and salt, lawns without snow mold….. You get the idea. Although I can’t go to Victoria right now, I do have a myriad of pictures and memories to help me get survive a never-ending Edmonton winter, until summer time finally arrives and we have exactly 2.3 weeks to sit at an outdoor patio (shortened not only for the weather, but also the caterpillar, mosquito and wasp infestations). Victoria in the Spring time. A bit drizzly. But look at Belleville Street! No potholes! 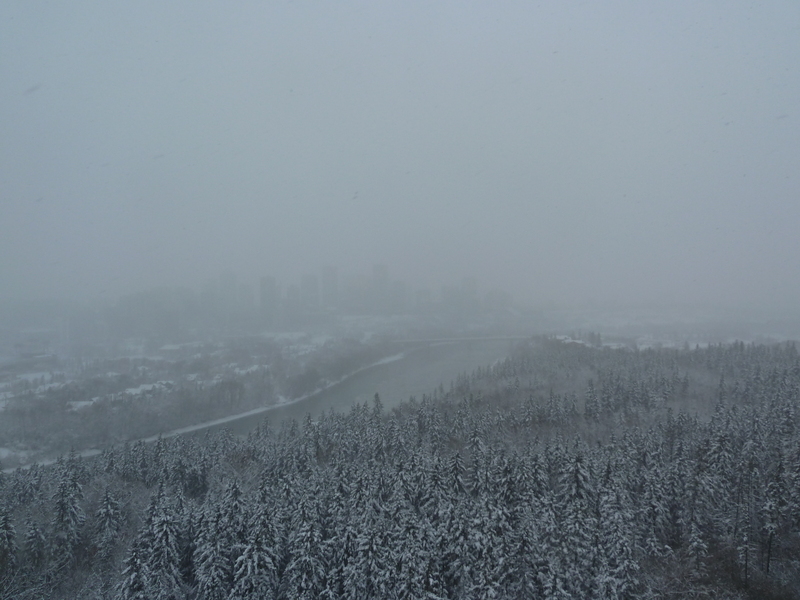 Edmonton in the Spring. 91 Avenue. That is no longer called a pothole. As a friend says, that’s a crater! 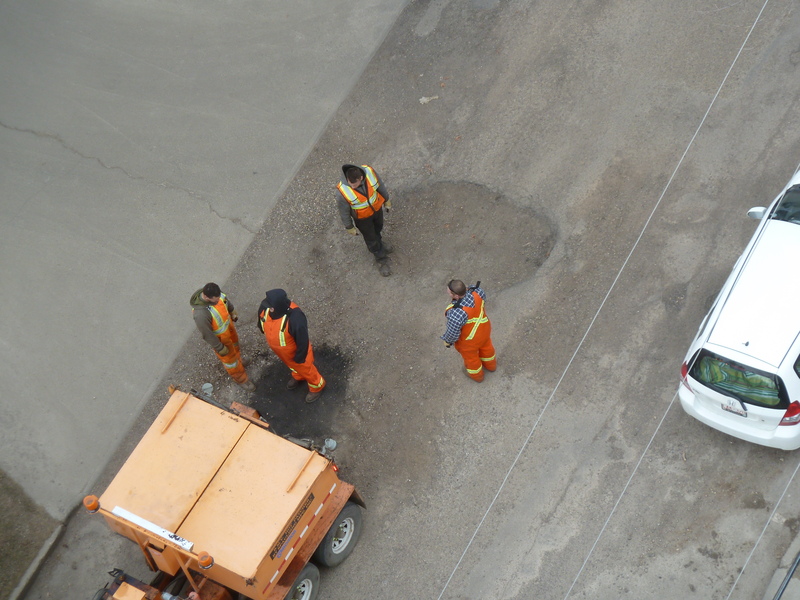 If you are having difficulty identifying it, one of the workers is standing in it. And want to see more of this…. 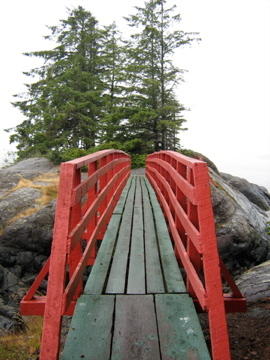 So, you are lucky enough to be planning a trip to Victoria. Or, you are even luckier, and LIVE in Victoria. And right this minute you are wondering, “Hm, where should we eat …?”. Let me tell you. Ferris’ Oyster Bar (of course it helps if you like oysters, I don’t, but there are other delicious oyster free things on the menu). Azuma Sushi – we’ve been happy here. It’s clean, the fish is fresh and delicious. Usually go at lunchtime because it is more of an in/out place. Lunchtime is busy. The sushi bar in Japanese Village on Broughton St. If you can’t find street parking, park in the library parkade across the street. Japanese Village – Shush. I know what you are thinking. DO NOT go to the floor show area where they will sing you happy birthday and put you in a Samurai outfit and flip an onion into the ventilation system over the grill. 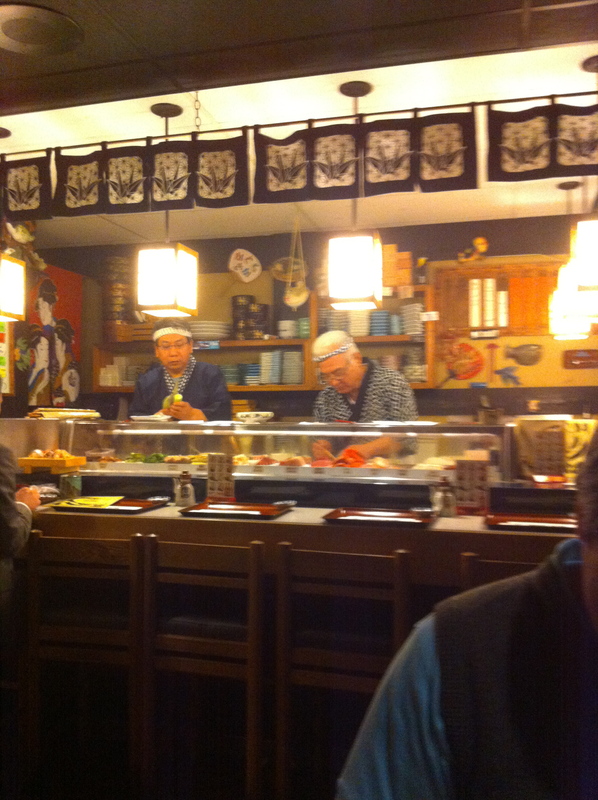 They have a lovely, quiet, sushi bar tucked in a corner. You don’t need a reservation, and it is often full of regulars, including Michael and I. Sammy and his cohorts embody what a true sushi bar should be like. They engage you, the fish is fresh, generous, and delicious. Sammy is the Susan (of Cask & Barrel) of the raw fish world. But you have to time it right when Sammy is in. Plan to spend an entire evening. Red Fish Blue Fish I never recommend a place unless I’ve been there. This place I’ve been to, but never eaten at. It opens at 11:30 and the line up forms earlier than that. The line up goes forever. I’ve been frustrated, because I’m not patient to stand in line, yes, even when on vacation, and always say “f*ck it” and stomp away feeling empty and unsatisfied. It is VERY popular with the locals. It’s the west coast equivalent of a food truck. It’s a transport container converted to food vending thing. 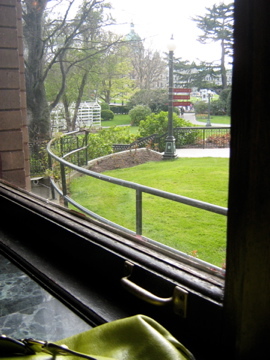 Darcy’s Pub – I’m in Victoria for business as well as pleasure. This is popular with my cohorts at lunch. Cheap wings on Wednesday’s if I remember correctly. They are always delicious. It’s sports-bar ish. But sometimes, that is all you need. Bard & Banker – A lovely pub. It’s gigantic, bright, and has cozy corners to tuck into with your sweetie, or a long bar to sit at with strangers who will become your friend. There are televisions subtly placed throughout, but are not dominating. They have a great assortment of on-tap brews and have some nice flight combinations to sample some of them. Food is pub food. It’s done well and is consistent. Irish Times – Another lovely pub. This one is dark, and popular with the after work crowd. Lots of on tap choices, and great GREAT sweet potato (probably yam) fries. I wouldn’t be surprised if Bard & Banker and Irish Times were owned by the same guy. Spinnaker’s Pub – Now. I have mixed feelings about this place. 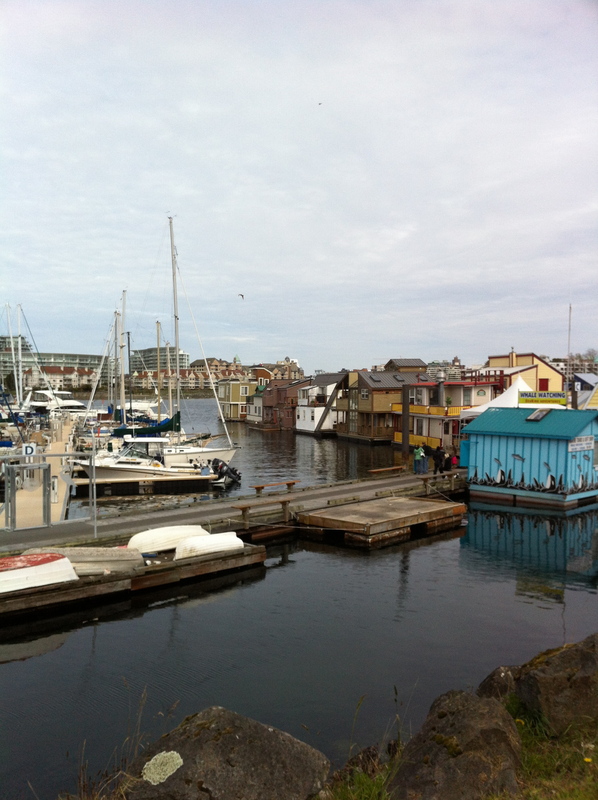 The attraction is, is it is right on the inner harbour, has a beautiful view of downtown Victoria, it’s an easy but appetite inducing walk from the Johnston Street bridge – say if you are staying at the Delta Ocean Pointe hotel. If you are feeling lazy, it is drivable, but you can also take the little harbour ferry to the door step. Michael and I started going here when it was just a little titch of a thing – a place where a guy started brewing his own beer, and served a bit of food on the side. Now it is a monstrous pub, has become extremely popular with all and sundry. They offer great food, foodie food, and an extensive list of brews. 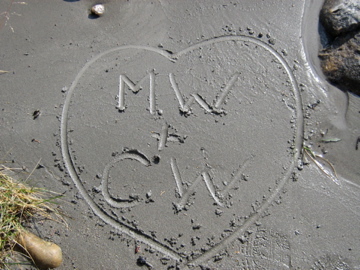 Michael and I roll our eyes and think it has become “highfalutin”, but we still go because of memories. The place is noisy. Barb’s Place – fish and chips on Fisherman’s Wharf. Plan on standing to eat. Plan on a seal staring at you with his big eyes. Plan on wondering if you could live in one of the floating homes that are on the wharf. Best fish and chips in Victoria – you need time, but they give you a beeper so you don’t have to huddle under the canopy and can wander. Moka House on the patio. Moka House – If you give up on the wait times for Barb’s Place, have a coffee at Moka House while you plan where you will have lunch/supper. Coffee is decent. Washrooms are clean. Sometimes they have some guy with a guitar by the fire to sing you songs. It’s not the BEST coffee in the world, but it works, and they have good snack type food (quiche, muffins, cookies, squares). 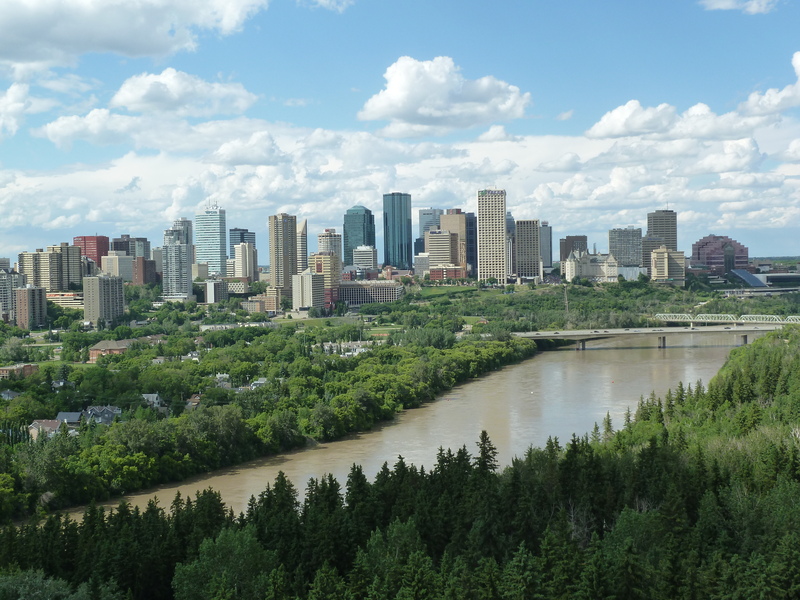 We always end up here because we walk through the St. James neighbourhood and they have nice views. 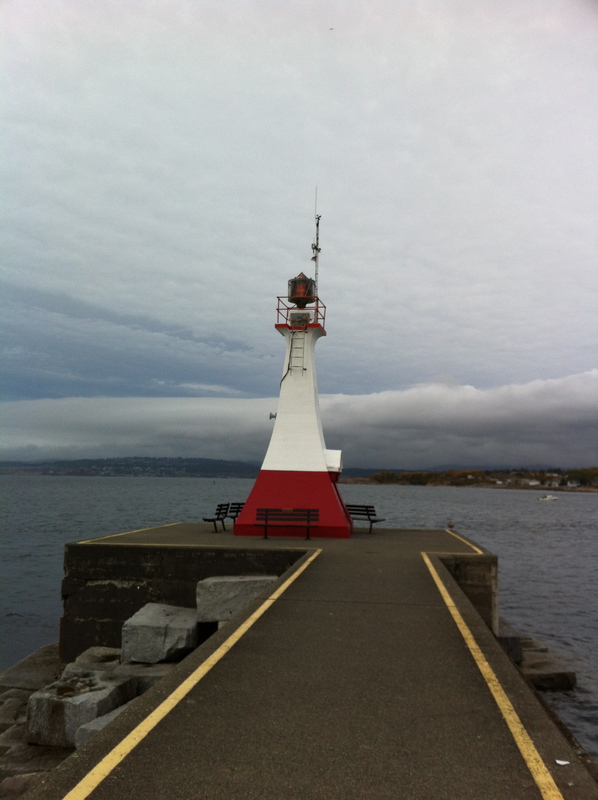 The pointy bit at Ogden Point. The walk to the pointy bit at Ogden Point. 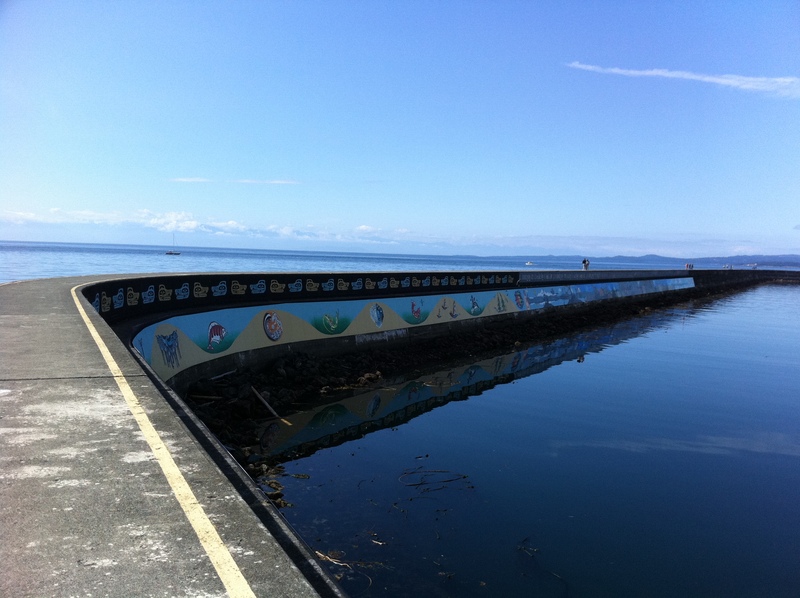 Ogden Point – This isn’t about food. It’s about walking out on Ogden Point. But there is a little cafe at the start of this, and they have some good food choices in there. This place is functional, but the idea here is to walk out to the point, then come back and reward yourself with a treat at the cafe. It’s a plastic patio chairs kind of place, but the view is spectacular, and its a great place to chill. Washrooms are clean, and you can use these WITHOUT making a purchase and not feeling like you are stealing something from them (despite the sign on the door that says, restrooms for patrons only – pfffffft). View out window from the Bengal Lounge. Bengal Lounge – Our favourite place in downtown Victoria. It’s in the Empress. It’s populated mostly by tourists. But if you make friends with your waiter, you are in for a treat. They are personable in an oldie worldie way. The cocktail types are limitless. AND, they have an amazing Indian buffet at lunchtime. It’ll cost you a fortune, but it’s worth it. It’s comfortable. Quiet. Attentive. The quality of food and bev unparalleled. Michael and I both have ceramic elephants from when we ordered a cocktail – something called the “Ivory Hunter” back in the 90’s, and it was served in this ceramic thing. Sadly, the waiters today have no fricken clue what we are referring to, but like two dithering senile seniors, we mention it every time we are there. We threaten to bring back the ceramic elephants and ask for a free refill. Harbour House – Speaking of oldie worldie. If you want waiters in (slightly worn looking) tuxes, and a Caesar salad tossed table side, and the BEST piece of beef in Victoria, go here. It’s right on the harbour as you would expect, the service is superb, the price fair. We go here when my family meets out there – I have an Aunt who has to have steak and lobster, because to her this is the epitome of “fine dining”. She dresses up fancy, and we take her here. Of course, don’t feel you have to dress up fancy. She’s from another era. Sweet Jesus, I haven’t even begun…. Here’s Sidney from the air. Maria’s Souvlaki – Greek snack food at its best. Very best. Nothing fancy. Just good food. A great place to stop in for lunch before catching a flight home. Beacon & Eggs – Michael and I usually take an early flight to Victoria, get off the plane, and head here for breakfast. Rumrunner Pub – The place is sticky and verging on gross, but we’ve been going here since it opened in the early 90’s. The food is good. The views of the straight are gorgeous. We wander down to the docks and check out the private boats/yachts afterwards. Taste of Tokyo – Japanese Restaurant – For our sushi fix, if we don’t want to go into Victoria. Delicious. Quiet. They have saki. Hot sauces! Ha cha cha cha! Blue’s is tucked to the right of that tree. Blue’s Bayou Cafe – Not so easy to find. If you are visiting the Butchart Gardens, you are fairly close to this place. 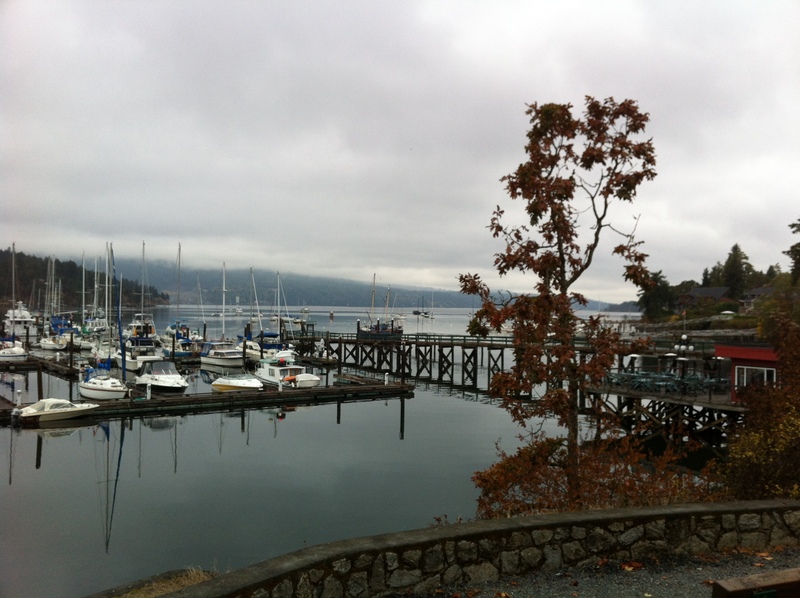 It’s right on the water in Brentwood Bay. It’s comfortable, tacky, the service slow, but the food, beer and view is unparalleled. 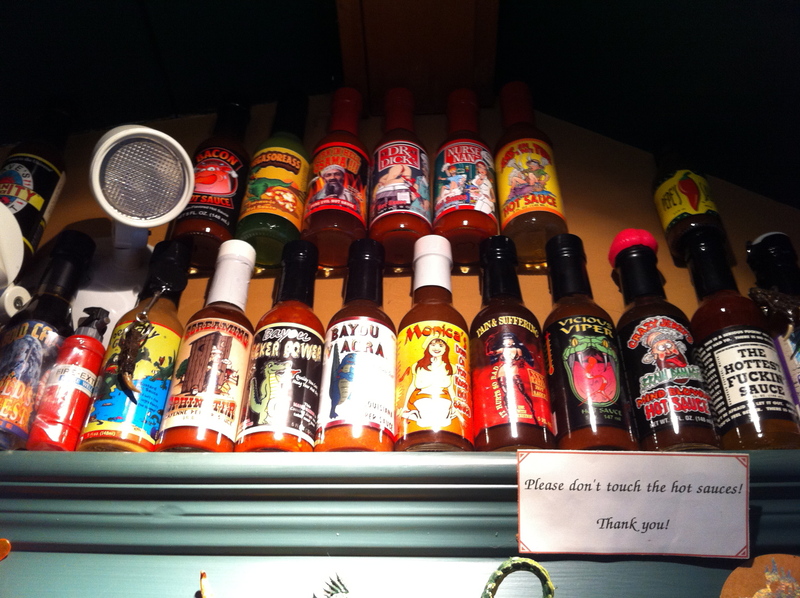 If you enjoy hot sauce, they have shelves of hot sauces from around the world. It’s a great place to relax. 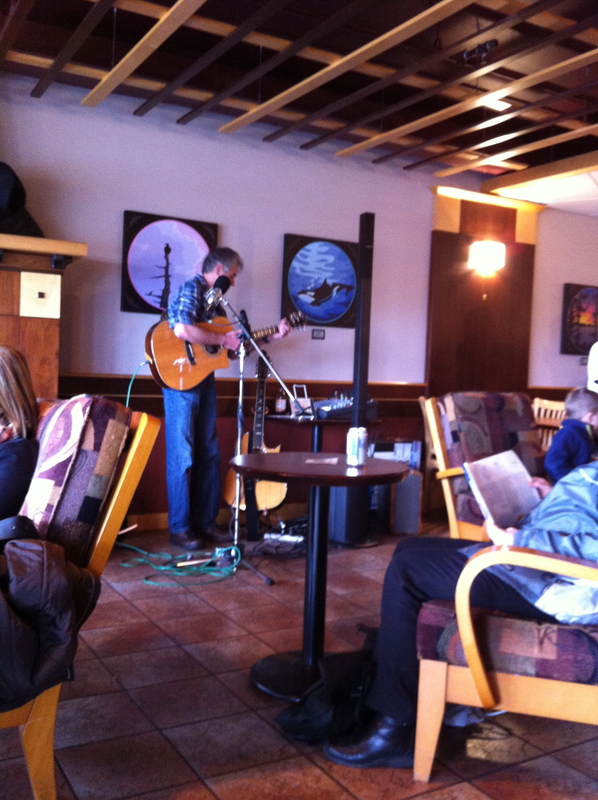 Prairie Inn Pub – If you can’t get enough pub fare, then here’s another place for you. It’s noisy, but the food is good. 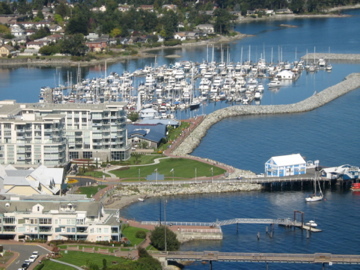 Michael and I stay in Saanich, and pronounce it, Say-An-Itch, as we overheard some American woman say it to a friend whilst talking on her phone. As in, “I’m here in Say-An-Itch BC”. It stuck. I write that we had 14 samples, but I count 8. Whatever. It’s not about precision. 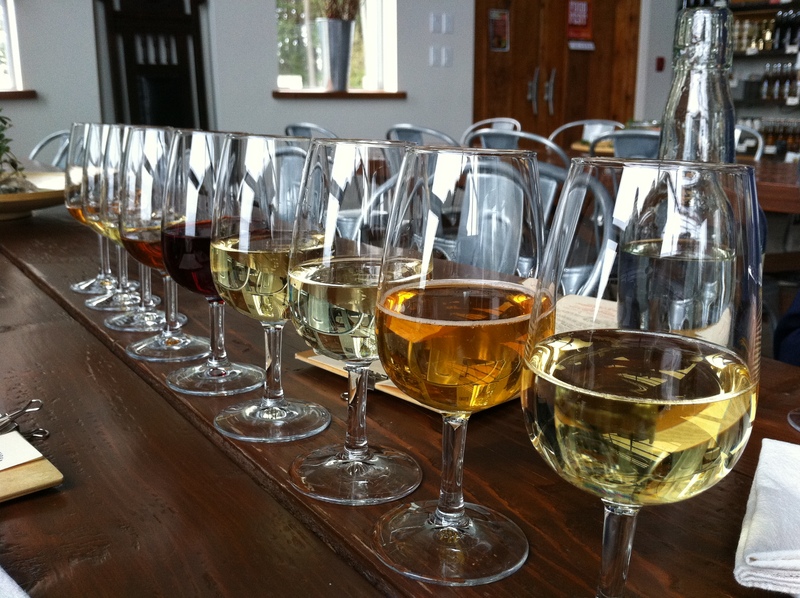 Sea Cider – I can say nothing more than we went here randomly one day to check it out, never had cider before, was introduced to a flight of ciders, and fell in love. What this really means is, I got drunk and enjoyed myself immensely. The food is good too, I think. I really don’t remember. Again, the idea here is I left with fond memories. Of what I really remember. There were 14 (generous) samples if we remember correctly. I think this sand patch is in Jasper somewhere. Whatever. Again, it’s not about precision. 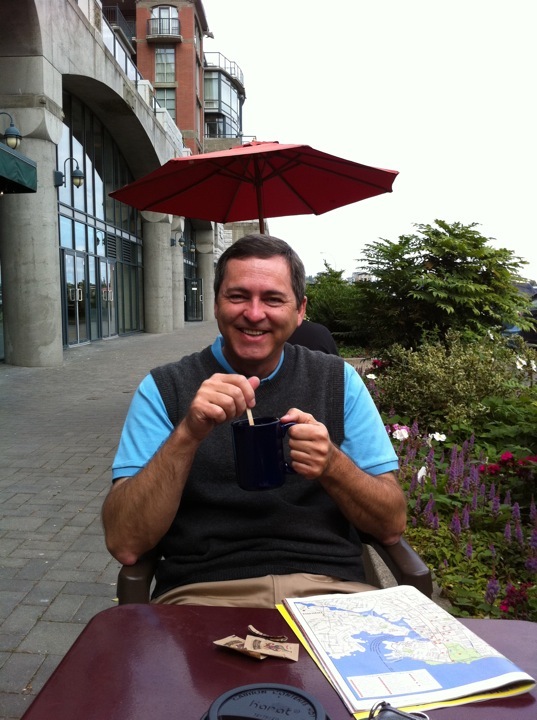 Excellent reference for my next trip – you left out one of my fav’s… why? You must have been there – now I cannot recall the name, but you know it – the one with the cookbook… it’s an old standard there in the middle of town. Yes! No! I have stood in line several times and left. I have heard TERRIFIC things about this place – there’s gotta a be a reason for those wait times! Pag’s is a must!! We ate there twice last year and I could have happily gone every day!